Recently the relationship between Netflix and Superhero shows is dodgy at best. However, their original series, The Umbrella Academy based on a comic book series of the same name, may have redeemed our trust in them. The weird timeless setting reminded me a lot of Legion, and that’s where the comparison between comic book shows and The Umbrella Academy ends. I find it hard to compare it to other shows of the same genre, it’s just so uncanny engaging that I’ve binge watched season one in only two days only. From Ellen Page’s iconic dance moves to assassins burning down a building while high, here are few of my favorites moments from season one. When Luthor does what he does best, which is annoy everyone present. He turns on Tiffany’s “I Think We’re Alone Now” which got the entire family dancing. The scene, without a single dialogue, managed to tell a lot about each character. And the fact they’re dancing alone but together at the same time is an ingenious foreshadowing. I’ve waited for this moment ever since Vanya first displayed her power with the lampposts. Vanya’s performance which was the show’s finale was almost as earth-shattering as what actually happened. Just when you think that they did it and saved the earth, the truth is revealed that no matter what they did the apocalypse is going to happen because Vanya herself is the apocalypse. Number five’s last-minute decisions to teleport them out of time led to them regressing back to their children bodies, leaving the possibilities endless for the second season. We’ve only seen Ben as a kid and as a ghost occupying Klaus in his life of bad choices. Klaus’s carefree act and his drug addiction led to his family mistrusting him all the time, but he finally gets to show off his power when he brings Ben back to life temporally. It was also the first time we’ve seen Ben in action. Even when he was a kid his power, just like the cause of his death, wasn’t shown clearly. Despite the fact that Klaus pretty much wears his mask of happiness throughout the season, his backstory is tragic as they come. Just when you think he got a break from escaping torture, he gets sucked back in time to serve alongside Dave in the military. And as if everything Klaus went through wasn’t enough, we get to see Dave, who became his love interest, die in his arms. The death was a catalyst for Klaus to get clean, but it still hurt watching it. Harold or Leonard as he was pretending to be was the most infuriating character on the show, next to Luthor of course. He was way too kind which made him suspicious from the start, but he wasn’t even interesting enough to be the big bad of the season. His manipulation of Vanya did lead to the world ending, but thankfully he got his end sooner when she finally showed him what she was capable of, and it was satisfying. If someone had told me that I would consider a scene where an old guy stuck in his 14-year-old body trying to save his girlfriend, a mannequin named Dolores, from assassins wearing kids masks, the peak of superhero shows I would have laughed in your face. But as it turns out it was as crazy as it sounds, and I loved every minute of it. At the point when this scene takes place, we don’t really know much about Number Five. Watching a little kid taking on a band of assassins using the donuts shop’s utensils was glorious, and the fact that he does it with “Istanbul” playing in the background is just too perfect for words. I could probably write down every Hazel and Cha-Cha scene as my favorite, but I finally narrowed it down to this one. After they finally get Klaus to confess the what Number Five up to, they head out to Meritech to see for themselves. Under the effect of Klaus laced chocolate bar, they set fire to the building while dancing around to the beat of Tom Swoon’s "Shingaling". Alan Coulson’s Ashes is is masterful revenge drama wrapped up in a symphony of a gratifying soundtrack and gorgeous scenery. The film’s slow-paced start takes it time to introduce the main characters and give hints of the background, leaving the complete main issue to be explored throughout the movie. Ashes’ drawn-out start does not feel like a hurdle like it tends to be in some dramas, not with the swift editing and loud soundtrack picking up the slack and keeping you on the edge of your seat. The exquisite bleak imagery perfectly reflects the characters’ own personalities and the events surrounding them. There was a lot of strong performances, most notably from Rupert Procter in the role of Jonathan, an alcoholic teacher on the quest of vengeance. Ashes use its simple but very realistic script to tell a story of love, revenge, and redemption. Overall, Ashes is a well-executed drama that brings joy to the indie film scene. Ashes is now available on Amazon Prime. 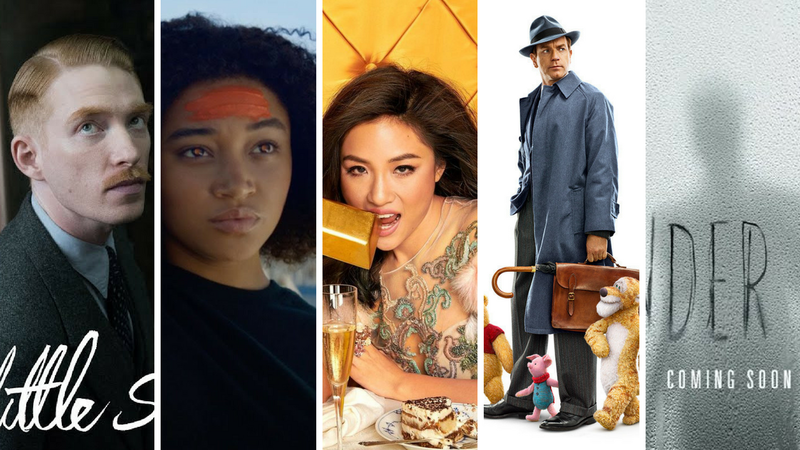 It’s been a wonderful year for movies. Which made compiling this list almost impossible, but I finally managed to shrink it down to only to only 10 diversified films. Steve McQueen’s heist film Widows is not only one of the best movies in 2018, it is the BEST movie of 2018. After their criminal husbands were killed on a failed job, four widows plan a heist to pay off their husband’s crime boss. With Viola Davis, Michelle Rodriguez, Elizabeth Debicki, Liam Nesson and Daniel Kaluuya, the film deliverers on the acting meter effortlessly. The film goes past nearly all the messages that most heist movies aim for, and it works beautifully. It deliverers on surprisingly heavy topics for a movie of its genre but it never misses the fun. This movie isn’t likely to make a lot of top 10 lists solely for the reason that it was released back in February. And unlike the Oscars, I’m not going to pretend that there aren’t any good movie in the entire year unless they’re released four days before the submission deadline. 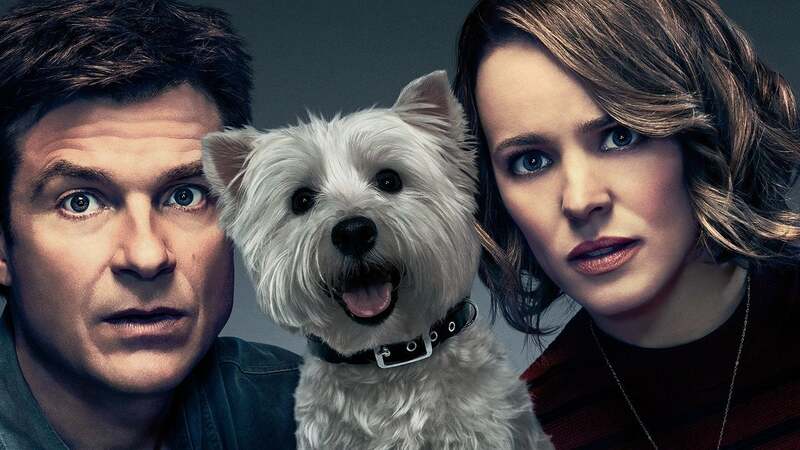 The film revolves around two married couples, Max and Annie, played by Jason Bateman and Rachel McAdams, While playing their weekly board games with friends, the night takes a turn to a murder mystery party. Lately, the comedy genre has been getting by with mediocre films that make you laugh for a few minutes but get forgetful quickly. Not Game Night thought. 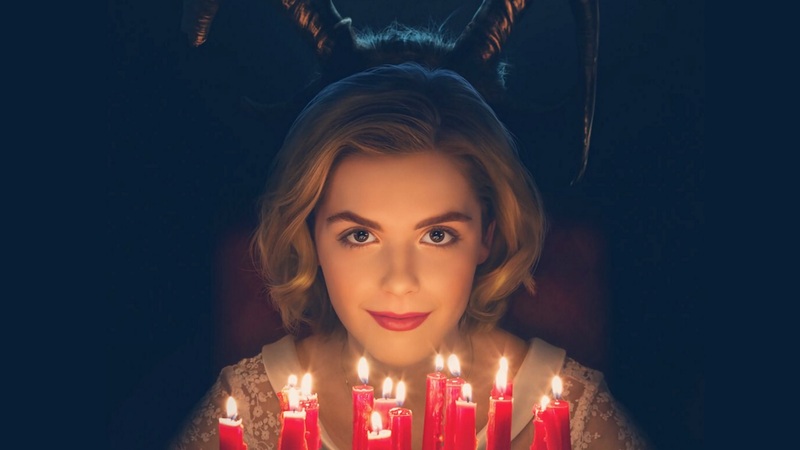 John Francis Daley and Jonathan Goldstein know exactly how to manipulate the audience and make them enjoy the deception, and Barry Peterson cinematography is the cherry on top. Spike Lee’s biographical comedy-drama was a blast. The movie takes place in the 1970s in Colorado Springs where the first African-American detective in the city’s police department, played by John David Washington, infiltrate the local Ku Klux Klan. In a time where incidents concerning white supremacy and racism are no longer shoved under the rug, BlackkKlansman tackles these contemporary topics bravely. The hilarious and brutal script glides the audience seamlessly through the complicated plot, while John David Washington’s and Adam Driver’s performance makes you debate the film for days. This Jury prize winner at the 2018 Cannes Film Festival and Golden Globe nominee for best foreign language film deserve the hype it got. Nadine Labaki filmography is something I consider a work of art, and Capernaum just adds to the beauty. The film follows Zain, a smart 12 years old child suing his negligent parents for giving him life. If you think that synopsis is a tear-jerker then you’re going to weep during the film. It evokes such raw emotions that make it feel more like a documentary. Topics like poverty and refugees have been exploited in cinema for years, but Capernaum void of political motives and agendas makes this an even greater work of art that’s trying and succeeding in delivering a message a lot of people are aware of but sadly ignore. The Ex Machina filmmaker Alex Garland strikes again with Annihilation. I don’t want to talk a lot about the plot because I fear I might spoil it, but the brief summary is that a group of military scientists enter an environmental disaster zone as an expedition, which leads them to find transforming creatures and mutating landscapes. It’s hard for a horror movie not to elicit an emotional response, but in this case, Annihilation leaves you with these emotions for days. There’s a lot of crazy things going around, but the movie still makes time to focus on the psychology of its characters. There are admittedly some plot-holes, but the movie is so mesmerizing that you forgive it for them. The film’s experience, suspense, and jaw-dropping visuals transcend its plot, which is not something easily said about any movie. and Sara Sohn, bring extremely well-written characters to life. The thrilling story-telling experience is only enhanced by the swift and seasonably editing. If I have to choose one word to describe this film, it will be satisfying. I’m a simple person, If I see Melissa McCarthy in a cast list then the movie will automatically be a must watch for me. Part of my extreme admiration for her is my belief that she has even a lot more to offer when it comes to her roles, and with Can You Ever Forgive Me, she exceeding those expectations. McCarthy plays an author struggling with a failing career, financial troubles and writer's block. For her to get back on her feet she starts forging and selling letters by deceased writers and actors. On paper, it’s hard to love that character, but McCarthy’s performance made her almost endearing. Nicole Holofcener’s and Jeff Whitty’s screenplay is full of mischievous wit and the film’s vintage dark premise is simply a delight. Here’s someone you can’t doubt in the film industry, and his name is James Wan. By some miraculous feat, Wann took Zack Snyder’s spot-on casting of Jason Momoa as Aquaman and gave us a gift. After Justice League’s jumbled mess of different creative choices and studio interference, Aquaman was blessedly void of those. Which seems to be a good formula for dc movies to prosper. There were a lot of great superhero movies this year, like Spider-Man into to the Spider Verse and Black Panther, but Aquaman, despite its age-old sibling's feud premise managed to outshine the rest. When watching you keep telling yourself that it can’t get better than that, and then you’re suddenly proven wrong. Every major scene outdoes the previous one seamlessly in a way that it doesn’t feel overcrowded with gimmicks. In a box office dominated by films of its genre, Aquaman managed to be ambitious and original at the same time. Alfonso Cuarón saved a lot of childhoods when he directed the best Harry Potter movie, The Prisoner of Azkaban back in 2004. But now it’s time to grow up and get a little pretentious. 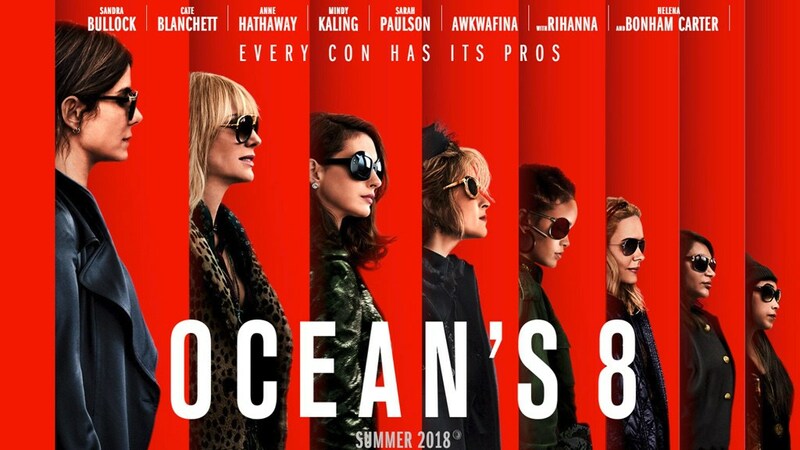 The trailer looks like a pompous Oscar bait, but surprisingly it is NOT. Roma tells the story of a live-in housekeeper in Mexico City in the early 1970s, while also giving a take on the director’s upbringing in the area. Cuarón stunning visual storytelling takes you on an immersive journey of compassion through the lives of one family. While the plot can get a little slow paced at the beginning, the finale leaves you more than satisfied. Horror was a dominating genre this year, and Ari Aster’s Hereditary is among the reasons why. The plot is fairly basic for a horror film, a family being hunted which leads them to discover dark secrets. When you love a movie you typically want to see it again, but with this one, you don’t. Watching it is almost like going through a nightmare because the stuff you see on screen doesn’t leave anyone unscathed. It was filled by phenomenal performances of literally everyone involved, but Toni Collette, despite her impressive filmography, gave the performance of her career. It’s always interesting to see how far a filmmaker can mold the horror genre to their taste, and Aster’s attempt is a unique and an exquisite one. 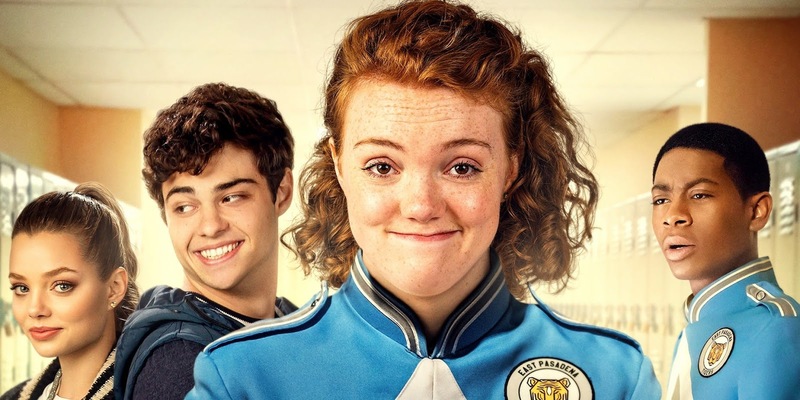 After Netflix’s latest supposed body positivity series ‘Insatiable’ premiered, I was waiting eagerly for ‘Sierra Burgess is a Loser’ to tell a better story than the series was supposed to do. However, I was greatly disappointed. On the surface, and based on the trailer, the movie looked promising. It promised to handle a tough subject matter in a teen rom-com setting, but what was done is a mixture of an unbelievable plot, weak script and cringy if not offensive situations. The latter was bizarre considering that the demographic that the movie is aimed for, is the one most vocal in advocating for a change in their representation in media. The plot was fast-paced, and the script couldn’t keep. I was not expecting teenagers to be smart and philosophical like something out of a ‘John Green’ book, but I was at least expecting a stronger argument against Sierra’s meltdown about her self-esteem and appearance issues than just her famous writer/father saying, “Be Yourself”. For a gifted student who can speak three languages, I was waiting for a stronger argument. The plot blurs the lines between a supposed harmless catfishing to full-on sexual assault, and while it’s made to appear cute, it’s not. This shouldn’t be a message aimed at teenagers, especially considering the vast availability of the devices needed to imitate what happened in the movie. But thankfully, the majority of real teens are much socially aware than the ones in this film. To be honest, at this point the movie could have been a little salvageable. But who cares about apologizing and owning up to your mistakes when you could just write a song about it and be forgiven by everyone? Sierra Burgess is not a loser, she’s a callous villain in her own movie. ‘Shannon Purser’s’ incredible performance was hindered by literally everything. Even ‘Noah Centineo’s’ charm wasn’t enough to save this movie. And finally, let’s talk about how they have ‘Chrissy Metz’ and they gave her three scenes, especially when her character was a vital point in Veronica’s behavior. Veronica, another character who was not given the treatment she deserved. Overall, I wouldn’t recommend this to anyone. There’s no humor to tide you over the movie, not even a slightly believable plot or a message worth watching. But if you still want to watch it, it’s on Netflix now. LadyS Reviews is proud to announce that we are now a member of Merch By Amazon. Please check out our products on the link below, and get them with free and fast shipping.